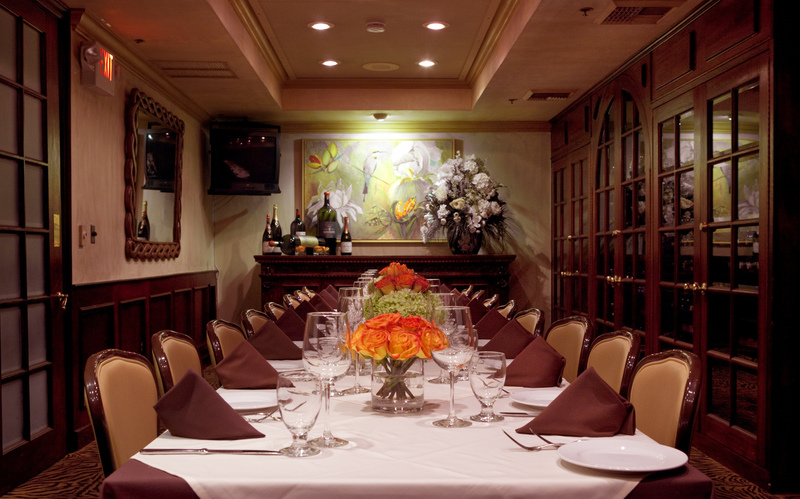 Plan Your Party at Piero’s! At Piero’s we are always ready to deliver a top-notch dining experience – whether you’re dining solo, or with 170 of your closest friends! The first thing I do is find out who you are entertaining – are they gourmets, foodies, employees, or worker bees? Is it a corporate or personal event? I get the lay of the land and learn why you are planning the dinner and what are you trying to accomplish. Too much space for too few people is not really a good thing. I’ll go over the table numbers with you and give you the perfect space for your party. RSVPs should be collected by two weeks prior to the event. The event coordinator will most likely have to follow up via phone and email because many people don’t pay attention to RSVPs anymore. I’ll help you plan – We will adjust if need be. When it comes time to breakdown the menu you will get whatever you want. However, I’ll jump in and let you know if I think there’s something better… I enjoy the challenge. Chef Gilbert Fetaz allows me to put menus together all the time. While planning your menu we’ll keep the time of year in mind. A heavy dinner might not be the best for summertime and during the winter I’m happy to give you all of the cheese and beef you want. I’ve been collecting feedback on menu options for years and know what’s been well received. Together, we will pick out a winner. I will let you know what comes standard for your party. However, if you want special additions, such as centerpieces, pianists, photo booths, DVD players, linens, beautiful chairs and anything else you desire, I’ll get pricing for you. You just tell me and I’ll make it happen. Here’s one more thing you should know. We develop a specification sheet containing all of the details of your party. I give a copy to the staff so they are on the same page, but I’ll also give you a copy for your files and keep one here as well. That way, when you come back and say ‘let’s do it again’ we have a record of what we did before. We will do anything to make your party perfect – the best recommendation is a personal one!